These Rocky ProLight Snake Proof Hunting Boots will not eradicate a fear of snakes, but they do offer protection that is invaluable while you are outdoors. This new Rocky Broadhead Snake Boot rivals all others! 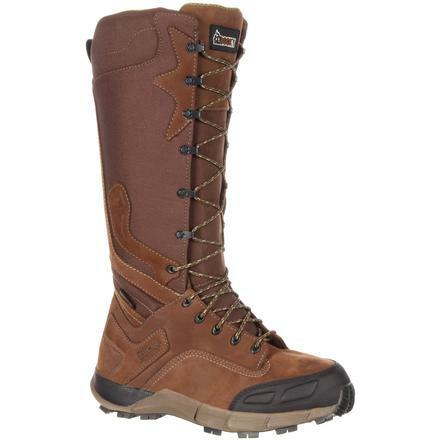 It features a rugged yet casual upper design with high-quality full-grain leather accents, full-lace and YKK side-zip with Velcro closure, and a protective toe guard, all on a rugged yet lightweight multidirectional Broadhead outsole. The Rocky Broadhead Snake Boot gives you the confidence you need to go deep in the heart of snake country no matter what the task.